John Douglas Torode (born 23 July 1965) is an Australian celebrity chef. He moved to the UK in the 1990s and began working at Conran Group's restaurants. After first appearing on television on ITV's This Morning, he started presenting a revamped MasterChef on BBC One in 2005. He is a restaurateur; former owner of the Luxe and a second restaurant, Smiths of Smithfield. He has written a number of cookbooks. Torode was born in Melbourne, Victoria, but between the ages of four (when his mother died) and ten he lived in Maitland, New South Wales, with his brother Andrew, and his grandmother who taught him to cook. He then lived in Edithvale, Melbourne, with his father and his brothers, though his father was frequently away from home because of work. His early cooking career started at Le Coq Au Vin restaurant in Aspendale and his later apprenticeship was at several establishments in Beaumauris, both in Melbourne. He has said that the food in his childhood was fairly normal, and roast chicken remains one of his favourite dishes because of the connection to his childhood, although his favourite meal at that time was crumbed lamb cutlets. He has also said that one of the first books he enjoyed at school was To Kill a Mockingbird by Harper Lee. He began his cooking career at the age of 16, after leaving school to attend catering college. He moved to the United Kingdom in 1991. A year later he began working at Le Pont de la Tour and Quaglino's as a sous chef for the Conran Group under Terence Conran. When he first met Conran, Torode asked his fellow chefs who that "nutter" was, as he'd arrived in the kitchen wearing a coffee stained shirt and clutching a bag of figs asking for them to be put on the menu. 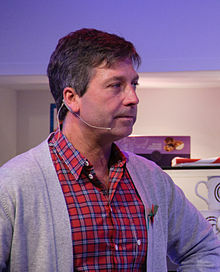 In later interviews, Torode described Conran as a "genius". While working at Quaglino's, Torode first met Gregg Wallace, whose company supplied the vegetables for the restaurant. He cooked on ITV's This Morning in 1996, and continued in that role until 2000. In 1998, his cookbook The Mezzo Cookbook won the James Beard Foundation Award for "Best Food Photography". He opened his former restaurant in Smithfield, London in 2000, called Smiths of Smithfields. After a year, he opened a second restaurant, called Cafeteria, near Notting Hill Gate, this has since closed, making way for larger projects. Torode has presented a show for the Good Food channel in the UK alongside former Celebrity MasterChef contestant Hardeep Singh Kohli, called New British Kitchen. The show aimed to feature the impact of imported cuisines in Britain. Other television work has included an appearance on the BBC's The Magicians, which saw Torode and Wallace participate in a stunt by magicians Barry and Stuart which hung the pair off the side of the Tate Modern in London. He presented the 2014 series John Torode's Australia; the 10 episodes retrace the flavours of John Torode's childhood and the people that inspired his passion for food as he travels the country to go back in time. It has been hosted on BBC Good Food and has so far had three re-runs. John Torode's Australia was also recorded as having the largest viewing figures on BBC Good Food in 2014. In 2015, he presented John Torode's Argentina as part of the BBC Two series A Cook Abroad, looking specifically at the country's production, cooking and consumption of beef. The episode explored the history and culture behind Argentina's great beef production and included Torode joining a group of gauchos on a working livestock ranch, before ending at a restaurant in Mendoza where cooking beef is regarded as being an art form. Torode was featured on BBC News as one of the people behind the project 'Come..Eat Together!' The project encourages the elderly to get together in the community and enjoy food together, encouraging a better social existence and an air of security in their lives. Torode's 2016 show, John Torode's Malaysian Adventure, aired on the Good Food channel throughout the early part of 2016. The 10-part series, filmed throughout Malaysia and the UK, and was commissioned as a result of the success of John Torode's Australia. In the programme, Torode explores the vibrant and varied cuisine of Malaysia, and travels throughout the country from the capital Kuala Lumpur to Langkawi Island off the northern coast. He cooks with local chefs, meets celebrity restaurateurs, visits night markets and explores the impact of history and culture on the evolution of Malaysian food. The Korean Food Tour (2017, Good Food Channel) sees Torode travel around South Korea, to the mountains, the cities, the countryside and the coast and work his way through some of the nation's top 100 dishes then creating his own version of Korean classics with a modern twist. Torode's recent food tours led to his 2017/2018 culinary adventure John Torode's Asia. This recently premiered on the Good Food channel, achieving the highest viewing figures for the channel since March 2013. Commissioned by Good Food's Luke Hale and UKTV's Sally Quick, the series is funded in partnership with a number of organisations including the Hong Kong Tourism Board. In each location, Torode looks for the most inspiring cooks, discovering the distinctive flavours of their country's cuisine. Cooking on location with local chefs, each episode sees several dishes created, popular and typical of their region. This includes eating in an underwater restaurant, discovering a street food market on the banks of the Yangtze River and making traditional dumplings with a Beijing family, ultimately inspiring the viewer to bring the cuisine of Asia into cooking. In 2018, John Torode’s Middle East (10 x 30 minutes) produced by Blink Films, featured the chef as he travelled across the region to find delicious eats. In March 2019, Torode, along with actress and food writer Lisa Faulkner, was given his own weekend cooking show. They will host John And Lisa's Weekend Kitchen Sunday mornings on ITV. In 2005, the BBC television show MasterChef was re-launched with an updated format and with Torode and Wallace as presenters replacing Gary Rhodes. Torode was chosen instead of food critic AA Gill. By 2011, the show had been sold to 25 countries. Torode has said in interviews that he enjoys that the show is unscripted and that the cameras are just there to capture the genuine interactions between the judges and the contestants. The show subsequently spawned a spin-off, also hosted by Torode and Wallace, called Celebrity MasterChef. In October 2009, Torode opened a restaurant near New Spitalfields Market in London, called the Luxe. He sold his shares and moved on from the two restaurants, but under his leadership, turnover at the Luxe and Smiths of Smithfield reached £9.2 million. He has also co-presented Junior MasterChef, initially along with Nadia Sawalha, the former winner of Celebrity MasterChef, and more recently alongside Donal Skehan. Torode has been a guest several times on BBC One's The One Show, Alan Carr: Chatty Man and The Graham Norton Show, and on ITV's Loose Women and This Morning. On 23 July 2014 (as a keen cyclist) Torode was a guest on ITV4's The Cycle Show. Torode has four children. He was married to Jessica, the mother of his son and daughter but was divorced in 2014 after separating in 2011. He also has two other children from previous relationships. Torode has been in a relationship with food writer Lisa Faulkner since 2015. The couple are now engaged. During a 2018 series of MasterChef, Torode received significant criticism from Malaysian and Indonesian people when Malaysian contestant Zaleha Kadir Olpin was eliminated. Gregg Wallace had commented that her contesting rendang dish served with nasi lemak "wasn't crispy enough". "I like the rendang flavour, there's a coconut sweetness. However, the chicken skin isn't crispy. It can't be eaten and all the sauce is on the skin so I can't eat it," quoted co-judge Gregg Wallace during his judging of the dish, with Torode commenting that the dish was a 'mistake' and 'not really flavoursome'. Many responded to say that rendang, which is a spicy stew normally made with chicken or beef of tender texture, doesn't consist of crispy outer skin. Subsequently, viewers took to Facebook and Twitter to comment about the rendang's actual texture and how the judges were at fault for eliminating the contestant, including former Malaysian Prime Minister Najib Razak who posted a picture of the dish on Instagram with the attached caption, "Who eats ‘crispy’ chicken rendang?" Torode responded to the criticism through Twitter by writing: "Love this!! Brilliant how excited you are all getting", which resulted in further backlash. Torode, John; Francis, Sarah; Conran, Terence; Murphy, James; Miller, Diana (1997). The Mezzo Cookbook. London: Conran Octopus. ISBN 9781850299226. Torode, John (1999). Relax – It's Only Food. London: Quadrille. ISBN 9781902757162. Torode, John (1999). Torode's Thai Trip. London: Granada Media. ISBN 9780233996493. Torode, John (2005). MasterChef Goes Large. London: Ebury. ISBN 9780091905576. Torode, John (2007). Good Mood Food. London: Quadrille. ISBN 9781844004485. Torode, John (2008). John Torode's Beef. London: Quadrille. ISBN 9781844006236. Torode, John (2009). John Torode's Chicken and Other Birds. London: Quadrille. ISBN 9781844007158. Torode, John (2011). Everyday MasterChef. London: Dorling Kindersley. ISBN 9781405394352. Torode, John; Wallace, Gregg (2011). MasterChef Kitchen Bible. London: Dorling Kindersley. ISBN 9781405394178. Torode, John (2015). My Kind of Food. London: Headline Publishing Group. ISBN 978-1-4722-2585-6. ^ a b c "John Torode, Esq". Debrett's. Retrieved 14 September 2012. ^ a b c Whittle, Natalie (19 March 2012). "FT Foodies: John Torode". Financial Times. Retrieved 14 September 2012. ^ a b Wallaston, Sam (2 September 2009). "John Torode: the Master". The Guardian. Retrieved 14 September 2012. ^ Dixon, Rachel (21 October 2008). "Table talk". The Guardian. Retrieved 14 September 2012. ^ "My Six Best Books: John Torode". The Daily Express. 8 June 2012. Retrieved 14 September 2012. ^ a b c d Syson, Damon (17 January 2010). "This much I know: John Torode". The Guardian. Retrieved 14 September 2012. ^ Lander, Nicholas (19 June 2010). "John Torode: 'I got everything wrong'". Financial Times. Retrieved 14 September 2012. ^ Torode, John (5 May 2008). "John Torode's heaven on earth". The Daily Telegraph. Retrieved 14 September 2012. ^ "John Torode-Biography". BBC Good Food Show Summer. Retrieved 14 September 2012. ^ "Cookbook author Kamman, N.Y. chef win top awards". The Deseret News. 11 May 1998. Retrieved 14 September 2012. ^ "John Torode Interview". Good Food. Retrieved 14 September 2012. ^ Fletcher, Alex (3 February 2012). "'MasterChef' John Torode hangs off Tate Modern on 'Magicians' – video". Digital Spy. Retrieved 14 September 2012. ^ a b Hall, James (6 April 2011). "Masterchef star John Torode gets Barclays facility". The Daily Telegraph. Retrieved 14 September 2012. ^ "John Torode reportedly granted a divorce from his wife Jessica". HOLA. 22 February 2014. ^ Mark Reynolds. "MasterChef John Torode gets quickie divorce to be with dishy Lisa Faulkner". Express.co.uk. ^ a b c France-Presse, Agence (3 April 2018). "'I would rendang his head': UK MasterChef judges stir up a storm". The Guardian. Archived from the original on 3 April 2018. Retrieved 4 April 2018. ^ a b Horton, Helena (3 April 2018). "Malaysian Prime Minister criticises MasterChef judges in rendang row over 'iconic national dish'". The Daily Telegraph. Archived from the original on 3 April 2018. Retrieved 4 April 2018. ^ Chen, Heather (3 April 2018). "Malaysians roast MasterChef over chicken rendang elimination". BBC. Archived from the original on 4 April 2018. Retrieved 4 April 2018. ^ a b Deen, Sarah (3 April 2018). "MasterChef and John Torode respond to criticism over eliminating contestant for traditional Malaysian dish". Metro. Archived from the original on 4 April 2018. ^ Nurmufida, Muthia; Wangrimen, Gervasius; Reinalta, Risty; Leornadi, Kevin (December 2017). "Rendang: The treasure of Minangkabau". Journal of Ethnic Foods. 4 (4): 232–235 – via Science Direct. ^ S. Bedi, Rashvinjeet (3 April 2018). "Four nations unite against MasterChef UK judge over Rendangate". The Star Online. Retrieved 17 September 2018. This page was last edited on 12 April 2019, at 15:20 (UTC).